In 2011, Coonew Game launched its first mobile game . 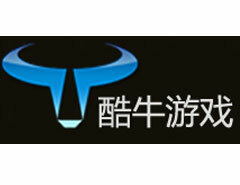 The year after, the company created partnership with China top blogger/writer ‘Tanggjiasanshao’,‘Tiancantudou’, ‘Chendong’and successfully launched franchise mobile games which is the pioneer of commercial IP mobile games in China.In 2015, Coonew Game completed the merge and acquisition with A-shared listed company Caesars Shares (Stock Number：002425), becoming its wholly owned subsidiary. With the huge support from Caesars, Coonew Game has achieved large improvements on game development and publishing, while enhancing the advantage of ‘IP Commercialization’. In Q4 2014, Coonew Game will launch mobile games , , (the 1st game in this franchise is ). In 2016, several mobile games with unrevealed IP will also be launched. While developing excellent mobile games with top famous IP, CooNew Game also focus on its own IP. From developing mobile games from novels, comics, TV and film and others, Coonew Game will provide an all-around experience to a large audience and fans.